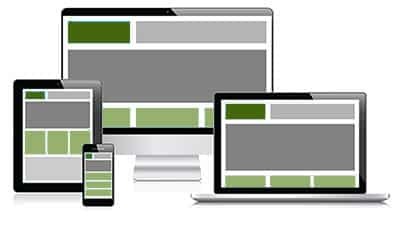 Want a Website That’s Unique, Easy to Use, Engaging and… “Mobile Friendly”? Weed Hosts is offering an inexpensive website design service using WordPress and WooCommerce to help accomplish all of your online selling goals! We’ll design a new WordPress Online Store using WooCommerce for just $399. And… with Weed Hosts, you’ll work directly with our design team to ensure you’re getting the results you want. Please, don’t let the price fool you. With your input, our team will design a website you can be proud of one. And, one you can build upon as your business grows. That’s a guarantee! Professionally designed WordPress Online Store – Only $399*. A dedicated Weed Hosts Design Coordinator. A full professional “Responsive – Mobile Friendly” Online Store developed with the industry leading Content Management System – WordPress, WooCommerce and a FREE “Premium” WordPress theme from Elegant Themes – $50-$100 value. “Edge to Edge” Homepage Slider. FREE WhatsApp Chat – Online store visitors can contact you through WhatsApp Chat with single click. Several FREE WooCommerce premium plugins including most payment gateways – $25-$300 or more value. Others discounted up to 70%. * Note: Price does NOT include any custom programming. Upon receipt of all content i.e. text, photos, product pricing and descriptions, etc., we’ll develop up to 5 initial pages of content (does not include product/catalog pages – additional pages may be purchased) and add up to 20 products to your catalog. Expect a “first draft” within 1 week of Weed Hosts receiving your “Engaging and Thought Provoking Content” i.e. Logo, Photos, Short and Pointed Text, etc. Two minor and one major revisions are included beyond the first draft. Expect a “next to final” version within 2 weeks – not guaranteed, but it’s a typical timeline. A lot depends on you sending us content. Here’s a “starter” list of items we’ll need to set up your new online store. Company Description – 2-3 paragraphs about your company. Categories – Flowers, Concentrates, Edibles, etc. At least 1 Product per Category – Include Photo, Description, Pricing. Payment Information – How your customers will pay for your products – click HERE for a list of merchant service providers. Call to Action Add Ons You’d like on the Site – Newsletter Subscriptions, Social Media Links, etc. * Email(s) aliases for the Store i.e. [email protected], [email protected], [email protected], [email protected], etc. * The email addresses your customers will see on their purchase receipt, newsletter subscription, contact forms, etc. You can use different email addresses for different services. All in One SEO Pack Pro – the most complete WordPress SEO plugin that exists today for just $59.00. A “Must Have” for optimal search engine visibility. Easily optimize your WordPress site for the search engines with one plugin. WordPress Training Videos – Continually updated training videos for WordPress, Yoast, WooCommerce and Jetpack. Up to 110 WordPress video tutorials right within your WordPress dashboard. Only $19.95 per year. Want to accept credit cards on your new ecommerce website? Weed Hosts has partnered with Helcim, a merchant services provider for US and Canadian “cannabis related” businesses. Free Helcim WordPress payment gateway installation and configuration for approved businesses. Click HERE to learn more. Why so cheap? We simply ask that you sign up for our Ecommerce Annual Hosting Plan at only $129.95 per year. That’s it. And it includes a FREE SSL Certificate – a $69.95 value. Our servers are “Turbo-Charged” for WordPress with “High Performance”, 100% SSD servers. And… you have to host your Online Store somewhere. Why not with us. You won’t be disappointed. We guarantee it! PLEASE NOTE: The 25% discount is not applicable with this product.